The Federal Reserve bank and its owners, the largest banks on Wall Street, want badly to be able to charge you interest for the privilege of depositing your funds. The problem is getting you to stand for it. Depositors already complain vigorously about zero percent returns on checking and savings accounts. 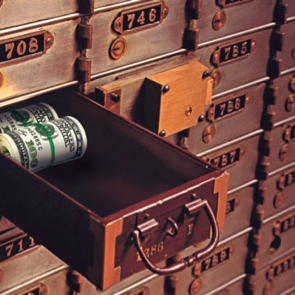 If they must start actually paying the bank to hold funds on deposit, many will opt to simply withdraw the cash and stuff it under their mattress or into a safe deposit box. That simply won’t do. Bankers in the U.S. can learn something from the Swiss. The Swiss National Bank recently implemented negative interest rates without first solving the "problem" of how to prevent cash from fleeing the banks. Predictably, depositors started doing some math. In one example, a sizable Swiss pension fund, calculated it would save 25,000 francs for every 10 million it held in the bank by simply withdrawing those millions and taking the bales of paper francs to be kept in a vault. The vault storage fees are less expensive than the negative interest rate. Jumping the gun on the implementation of negative rates put the Swiss banks in an awkward situation. Like all fractional reserve lenders, they don’t have anywhere near enough cash to make good on the withdrawals that may be coming. The bank holding the pension money had little choice but to refuse the client’s demand for millions of francs – funds the client is contractually entitled to. Telling clients “sorry, you can’t make a withdrawal” never goes over too well! Nevertheless, the Swiss National Bank is sticking to its guns. It is encouraging retail banks to be “restrictive” with regards to cash withdrawals. And it is berating actors such as the pension fund for trying to circumvent negative interest rates. Apparently no one should be questioning the wisdom behind the policy! But the bluster isn’t hiding the fact that bankers stand upon shaky legal ground. The potential for a run on the banks remains. Insiders here look anxious to avoid a similar situation. Willem Buiter, the chief economist at CitiBank, thinks he’s got the answer to this banker’s quandary. Simply abolish cash. Or tax it punitively. He isn’t the only one supporting this radical solution. 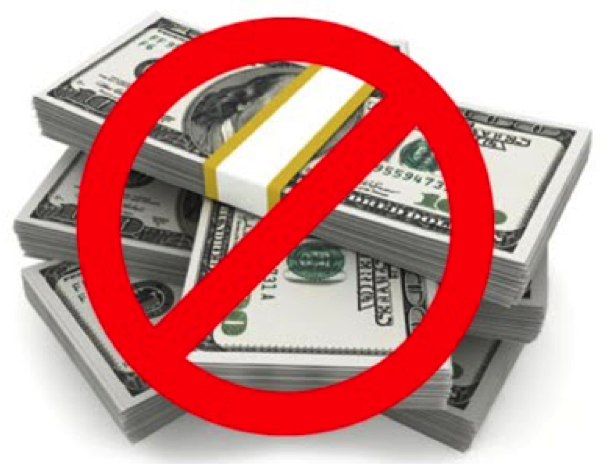 Other economists, including the prominent Harvard professor Kenneth Rogoff, also think banning cash is a grand idea. If depositors’ response to negative interest rates is predictable, so is the reaction from central planners. Effective herding is all about limiting the escape routes for members of the herd. Eliminating physical cash may well be a longer-term project, but it is not something the Fed can likely implement any time soon. In the meantime, there are other ways to prevent depositors from making their escape. For starters, officials can criminalize the use of cash above certain amounts – a topic Money Metals covered in recent weeks both here and here. Banks can also implement new policies of their own. Joseph Salerno from the Mises Institute discovered JPMorgan Chase leading the way. The bank very recently began test driving new rules in Cleveland as well as other markets. The bank will no longer accept cash from customers who want to use it to make mortgage payments, pay credit card balances or to cover their automobile loan. Expect other banks to follow suit shortly. The new rules go on top of decades of inflationary monetary policy, making paper currencies worth perpetually less over time. Clearly bankers are plumbing customers’ tolerance for pain. More and more people will be looking for ways to make it stop. This is where things promise to get interesting for gold and silver investors. Financial repression, the attempt to force citizens to accept the government shears, has long been a driver of demand for physical precious metals. This demand will accelerate as measures become more draconian. Some bank customers, perhaps even the Swiss pension fund mentioned above, will decide that bullion is a better option than sitting on bales of depreciating paper currency or paying banks to hold deposits. Here in the U.S., the banks are central to just about all bureaucratic efforts at control. Look for droves of people to try and sidestep the banks and the dollar itself. The next decade or two is almost certain to see rapid innovation in alternative ways to store value and transact. Ways that preserve privacy and are beyond the reach of bureaucrats. As these new systems seek to gain trust and acceptance, precious metals are almost certain to play a much bigger role.